Let me first of all say that this is an enjoyable book. The writing is engaging, the characters endearing, and the illustrations truly lovely in their inky simplicity. Most enjoyable is that the book simultaneously and beautifully blends philosophically complex ideas with childlike wonder. A particularly striking scene occurs when Lynn and Anna use mirrors to uncover “hidden worlds” dwelling within our own – a sort of glimpse into fairy land, if you like, revealing the existence of “meaning” beyond the realm of mere facts. 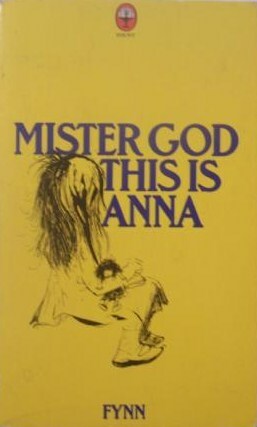 But, like any book, Mister God, This is Anna has its faults – namely, in this case, that the theology Anna articulates is – whatever else it may be – certainly not Christian in the orthodox sense of the term. Anna seems convinced that in order for faith in “Mr. God” to be real, it ought not to be constrained by outward rules: church, theology, even Scripture – all inhibit her from meeting God, she thinks, in his abundant openness. “People,” she asserts, “when they go to church measure God from the outside…. They don’t get inside and measure Mister God.” In order to truly know God one must fully experience (indeed, indwell) him. Everything else just gets in the way of knowing God personally. So far as Anna was concerned one thing was absolutely certain. Mister God had made everything, there was nothing that God hadn’t made. When you began to see what it was all about, how things worked, how things were put together, then you were beginning to understand what Mr. God was. When you think about it, that’s the eventual conclusion of any religion which insists on knowing God solely through experience: you end up so focused on your own ideas that the personhood of God seems to slip into shadow. Everything ends up dependent on your interpretation of the world around you. To be sure, Anna propounds some fascinating thoughts (philosophical, even mystical) in the book which we can learn from. But they’re ideas about an abstract God – not the personal God she seems so eager to know. One need only think of earthly, human relationships to understand why this approach to God doesn’t work out. Friendships aren’t built on our perceptions of other people; they’re based on actual communication. If I claim to be friends with someone – let’s say Bob, for example – then it’s important I actually listen to what Bob has to say. I can’t simply look at the type of clothes Bob wears and say, “Well, that’s Bob.” I can’t look at his house, see the environment in which he lives and then conclude I know the man. While all this can provide insight into who Bob is, it is a far cry from a real relationship. No, I must actually speak with Bob in order to know him. Anna’s approach to God is similarly concerned with the trappings rather than the actual person, and this is why her meditations on the character of God (while interesting) nevertheless lack depth. She ends up doing what she accuses the church of: merely describing God, not actually knowing him. She views the world that God has made, contemplates the mysteries of language, biology, and much more – in essence, she views the house that God built and the clothes he wears. And based on these observations, she develops a philosophy of God. But for all that, she does not truly know him. Her “Mister God”, we must confess, remains for her a Mystery. He is too broad. He is spread too thin. He is an idea, alas, and not a person. The personal knowledge she lacks (and which we in our sin also lack) can only be attained through real conversation with God. We cannot simply talk to and about God; we have to let him speak as well. And that’s why Scripture is so important (and why Anna’s low opinion thereof is the more unfortunate). For in these texts, God himself speaks to us. His love for us might be, as Anna reasons at one point in the book, infinitely higher than our own human capacity to love. But we only find an overt expression of that love in the Scriptures. Here we hear the God of power and creativity speak us into creation. Here we hear the God of justice speak words of judgement over our sin. Here we hear the God of love speak himself into human form, bear our sin, die in our place, and live again that we also might live. In short, Anna’s concept of God misses the relational, incarnational mercy of God – the God who speaks human words to us, who becomes human for us, and who continues to care for us in our human endeavours. To be sure, philosophy can be good; the “heavens declare the glory of God,” as the Scripture say. But we need revelation to truly know our Creator. We need the Word of God. 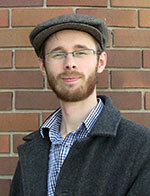 We need Christ – the image of an otherwise incomprehensible, invisible God. Many, if not most, of my Christian friends belong to denominations where baptism is reserved for adults or (in some cases) older children who are otherwise able to make a profession of faith. So it’s always been a bit of a surprise to them that a number of faithful, Bible-believing Christians go in for infant baptism – myself included. The question inevitably arises: Why do you baptize babies? Let me first of all say that I can sympathize with the question. It’s one I spent some time contemplating myself a number of years back – though, as is no doubt obvious from my membership in a Lutheran church, I concluded the Scriptural witness supported infant baptism. But maybe for that reason – since I’ve thought long and hard about the baptism of babies – I can shed a little light on the subject for any of you who might be curious. Before we can talk about baptism itself, we first need to talk about sin. And to do that, we need to go all the way back to the beginning of everything. The Book of Genesis tells us that when God created the universe, he set humankind apart; we alone were made “in the image of God” (Genesis 1:21), and the result was, by God’s own standards, “very good” (Genesis 1:31). But of course, being made in the image of God meant having free well – and our first parents Adam and Eve made particularly poor use of that freedom. Tempted by the desire to become “like God” (Genesis 3:5), they disobeyed his one commandment. Our world has dealt with the effects of sin ever since. The Good News of the story, however, is that God didn’t abandon us to our sin. Even as he drove Adam and Eve out of the garden, he promised that one day Eve’s descendent would crush the head of the snake who had tricked them (Genesis 3:15). That promise would come true in the person of Jesus Christ. Here the Son of God became human, born miraculously of a virgin. He came to destroy sin, death and the devil – things we human beings could never deal with on our own. At the cross, Christ took the upon himself all the sins of Adam, Eve, you, me, and every other human who ever lived and will ever live. He took our sin upon himself and allowed himself to be punished in our place. As Isaiah prophesied centuries before Jesus’ birth, “He was pierced for our transgressions, he was crushed for our iniquities; the punishment that brought us peace was on him, and by his wounds we are healed” (Isaiah 53:5). Through his sacrifice, we receive forgiveness of sins. And just as he rose from the dead, he promises new life to all who believe in him – a gift given in selfless love (John 3:16). That – the promise of forgiveness – is something we need to return to over and over again throughout our lives. “Okay, okay,” I hear you saying, “I know all that. But what does this have to do with baptizing babies?” I’m getting there, I promise, but we’ve still got a little more to think about first: namely, faith. Near the end of the last paragraph, I wrote that Jesus promises salvation to “all who believe in him.” But what does it really mean to believe? That question is deeply connected to the subject of baptism. In fact, whenever anyone asks why we baptize babies, their biggest concern seems to be that babies cannot believe. “And why would you baptize someone who doesn’t believe?” they ask. So what exactly does it mean to believe? Well, Paul tells us that faith is a “gift of God” – something we’re given, not something we go looking for (Galatians 3:8). Jesus says something similar when he uses a parable to explain that faith is like a seed (Matthew 13:1-23). In the story, a farmer goes out and scatters seeds in the ground. He doesn’t ask permission from the ground before planting seeds, he just puts it in and prays that the land will produce. In the same way, we receive faith because of God’s work, not ours. God scatters the seeds of faith on all types of ground – in all types of people. Some of it will take root; some of it won’t. But the ground doesn’t choose to be seeded; it’s something that happens to it, beyond its own control. The way in which that faith grows and takes root is from hearing the Word of God proclaimed to us. As Paul writes, “Faith comes by hearing” – specifically, by hearing the Gospel: how Christ has saved us from our sins (Romans 10:17). But even when we’re “hearing” the Good News, we’re not really doing anything – God is the one doing the speaking; we’re just listening. The Holy Spirit opens our hearts to hear and believe. Faith, then, is at its core something that happens to us; it’s not something we choose (though we can certainly uproot the seed that’s been planted if we so choose). At last we come to the subject of baptism. What exactly is it, and why do Christians do it? The short answer is that Jesus commanded the practice. And for most evangelicals, it appears that’s the only reason for the practice. Jesus commanded Christians to be baptized, so we get baptized. It’s just a work we have to do – a pledge that we are followers of Jesus. But of course, a good evangelical would hasten to point out, it’s also a symbol of Christ’s washing away our sins – a symbol that we have been “buried with him,” in the words of Paul, in order that “we too may live a new life” (Romans 6:4). But when you think about it, those ideas kind of clash: God loves us so much that he saves us through the free gift of faith – “not by works,” as Paul says (Romans 2:9) – but then he requires us, arbitrarily, to perform a work which commemorates that salvation? How can baptism be both a work and a symbol of free salvation at the same time? Surely something more must be going on in baptism than that. Well, the Scriptures tell us just that: there’s an awful lot more going on baptism. In fact, Jesus puts the importance of baptism on the same level as faith, telling us that “whoever believes and is baptized will be saved” (Mark 16:16). Peter goes even further, writing that baptism “now saves you… by the resurrection of Jesus Christ” (1 Peter 3:21). And in the passage quoted two paragraphs above about being “buried” with Christ, Paul is talking about much more than a mere symbol. “We were therefore buried with him through baptism into death,” he writes, “in order that, just as Christ was raised from the dead through the glory of the Father, we too may live a new life” (Romans 6:4). There’s something about baptism which is connected with the very idea of salvation. But how can that be? Now, we’ve already agreed that salvation is a gift. “For it is by grace you have been saved, through faith – and this not from yourselves, it is the gift of god – not by works, so that no one can boast” (Ephesians 2:6-7). So if baptism is part of the package of salvation – as Jesus, Peter, and Paul all clearly seem to say – then it can’t be a work. What is it then? The answer is as simple as it is startling – baptism is one of the ways in which God gives us the gift of grace. We baby-baptizers like to call that a “means of grace”. The basic idea is that God not only assures us of grace and salvation through the Word – through “hearing” as we talked about earlier. No, he’s also given us physical ways of experiencing forgiveness – and baptism just happens to be one of those ways. In the water of baptism, the Holy Spirit is active, forgiving sin and strengthening faith. We are made up of body and soul, and so God relates to us not in only in spiritual ways, but in physical ways as well. Baptism, then, is not our work; it’s God’s work for us. God quite literally washes away sin in baptism. So, if baptism is about forgiveness (and issues of salvation always are), then anyone who is a sinner is in need of what baptism offers. And the fact of the matter is that babies, like everyone else, are sinners. Every single person ever born (with the exception of Jesus) was born in a sinful state: the theologians call this “original sin,” and it’s something David knew very well when he lamented, “Surely I was sinful at birth, sinful from the time my mother conceived me” (Psalm 51:5). We can see sin at work among children if we really look for it. It’s the impetus behind the two-year old’s tantrum just as much as it is behind the thirty-year old’s adultery. In fact, this inherited sinfulness is the very reason why Jesus needed to be born of a virgin. He needed to free of original sin – free of the contamination at work in every other human from the moment of conception. Since baptism offers forgiveness of sins, and since babies are sinners, then it stands to reason that babies are just as in need of baptism as anyone else. But that doesn’t mean, as some people seem to think, that baby-baptizers think being baptized alone works salvation. It doesn’t. As Jesus makes clear (and as I quoted earlier), “Whoever believes and is baptized will be saved” (Mark 16:16). Baptism without faith saves no one. “But then,” the question begins anew, “why baptize babies since they can’t believe?” But ah, my friends, this is the thing: we who practice infant baptism do believe a baby can believe. As we talked about earlier, faith is a gift – it’s something we receive, it’s not something we choose. We don’t wake up one morning and say, “Well, I guess I’ll believe in Christianity now.” No, it’s something that’s worked in us by the Holy Spirit as he opens up our hearts to believe. And that’s precisely one of the things the Holy Spirit is doing in baptism: awakening faith. The Scriptures speak frequently of being baptized in the Holy Spirit, and John the Baptist makes it clear that this baptism into the Spirit is to be identified with the baptism Christ brings. While John the Baptist baptized merely “with water,” the baptism Christ would institute would instead be a baptism “with the Holy Spirit” (John 32:33; cf). And what does it mean to be baptized with the Holy Spirit? It means to receive the Holy Spirit – the very thing which happens when a person believes in Christ. If Christ’s baptism gives the Holy Spirit then, how do we receive Christ’s baptism? Thankfully the Scriptures are clear on this matter. At the end of his earthly ministry, Christ commanded his apostles to go into the nations, “baptizing them in the name of the Father and of the Son and of the Holy Spirit, and teaching them to obey everything I have commanded you (Matthew 28:19-20). That Trinitarian baptism is exactly the baptism that Christian churches perform today. So then, the baptism Christians receive today is the same baptism John the Baptist promised would bring the Holy Spirit. It’s the baptism Jesus instituted. And in it, God’s Spirit descends on the one being baptized, and there he begins actively working to convert the person baptized. He transforms the heart and sows seeds of faith just as much in baptism as he does in the preaching of the Word. Faith is, after all, a gift – and a gift can be given to anyone, whether they deserve it or not, whether they are old enough to understand it or not. It can be rejected later of course (and far too many people baptized as infants will tragically reject that good gift later in life). But the gift itself was nevertheless given. And it always remains right there, waiting to be turned back to, waiting to be embraced. People were also bringing babies to Jesus to have him touch them. When the disciples saw this, they rebuked them. But Jesus called the children to him and said, “Let the little children come to me, and do not hinder them, for the Kingdom of God belongs to such as these. I tell you the truth, anyone who will not receive the kingdom of God like a little child will never enter it” (Luke 18:15-17). 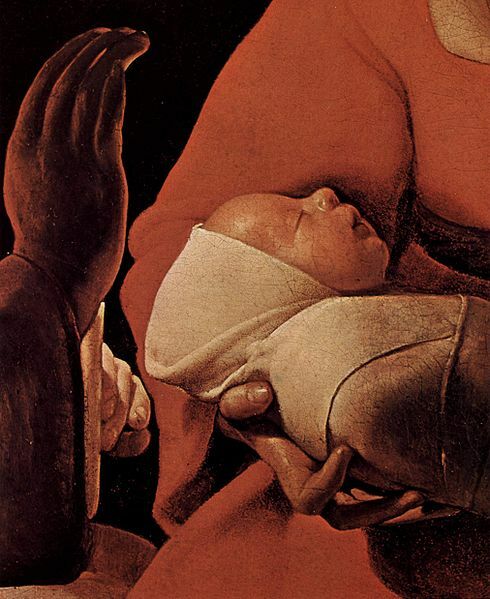 The wonderful good news is that we can come to Christ as infants. In fact, he explicitly calls us to come to him with just such a childlike faith, for it is little children who receive him and the Kingdom of God aright. So we can come to him and become his in baptism, even though others must bring us to him – even though others must proclaim for us the faith we cannot ourselves yet profess. In baptism, we come to be touched by Jesus. And we can trust God to receive us into his kingdom with open arms just as he received the little children so long ago. In fact, Peter tells us explicitly that baptism – and the forgiveness of sins and the gift of the Holy Spirit which come through it – is for children. He proclaims, “Repent and be baptized, every one of you, in the name of Jesus Christ for the forgiveness of your sins. And you will receive the gift of the Holy Spirit. This promise is for you and your children” (Acts 2: 38-39). “This promise is for you and your children.” Truly beautiful words. For Lutherans like myself who believe in the baptism of babies, we do so trusting that salvation is all about Christ and never about us. Just as God redeemed us freely at the cross – just as faith comes as a gift by the Holy Spirit working in us as we hear the Good News – so too baptism is about God showing mercy to us even though we don’t deserve it and can never completely comprehend it. It’s about grace. It’s about forgiveness. It’s about the Gospel. And that’s something we all need – no matter how old, no matter how young. Last week saw the International Lutheran Theological Conference take place in Prague (Czech Republic) from October 4th through the 7th. Focusing on the subject of “Lutheranism in the 21st Century,” representatives from across Western and Eastern Europe, the United States, and Japan gathered to discuss the challenges facing confessional Lutheran witness in our day and age – focusing primarily on the importance (and difficulty) of theological education. Topics included Lutheran encounters with Pentecostalism in India, the formation of Lutheran identity in eastern European nations, communicating confessional Lutheranism in an increasingly secular world, and developing a vision for theological education in specific and Lutheranism in general in the 21stcentury. See the conference brochure for more details on papers presented and the presenters. At a vesper service held at the end of the first day of the conference, President Matthew Harrison of the LCMS delivered a sermon on Matthew 17:1-8 (The Transfiguration), focusing especially on verse 8: “And when they lifted up their eyes, they saw no one but Jesus only” (ESV). The sermon was inspired by Henric Schartau‘s sermon “Jesus Only” (a text which, by the by, features prominently in Bo Giertz’ classic Swedish novel The Hammer of God). 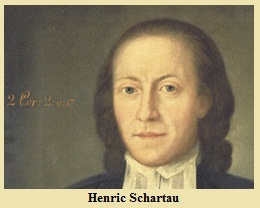 You can read Schartau’s original sermon (translated into English) here. President Harrison’s sermon below focuses our attention on Christ, teaching as Schartau did so many years ago to put our confidence solely in Christ – that we, like the witnesses of the Transfiguration, may look at the last and see “Jesus only”. Captain Thin is powered by	WordPress 5.0.4 and delivered to you in 0.371 seconds using 33 queries.